With 2013's beginning, all the diet programs I have been trying, and all the bad things that have happened over 2012, I decided I needed to start the New Year fresh! One of the ways I decided to do this is with a detox and cleanse. I recently contacted Flora Health in hopes of working together. Flora quickly agreed and graciously sent me over their Flor•Essence® 7-Day Purification Program. Now you know I am pretty straight forward and blunt so if you don't want to hear any descriptions than I advise you to stop reading now! Before I say anything else I have to say this was unlike any other cleanse I had tried in the past. 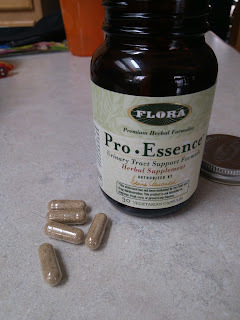 "The Flor•Essence® 7-Day Purification Program provides you with the means to accelerate your body’s natural cleansing process." There are 3 components to this program - Flor•Essence® 17 oz liquid, Pro•Essence® 30 Vegetarian Capsules, and FloraLax™ 4.2 oz powder. This was kind of difficult to do and required a bit of focus through the week. Each product was required to take at a different time of day, different amounts, and a certain amount of time after the previous one. You can imagine this was complicated to keep up with (especially with children). First Flor•Essence® liquid is taken with water, preferably sipped with hot water like a tea two times a day in the morning and before bed. 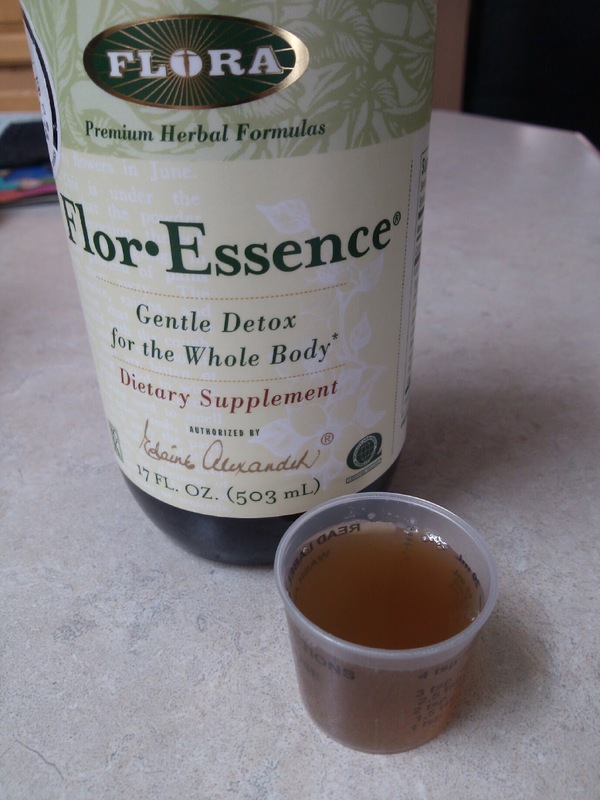 "Flor•Essence® is a detoxifying 8-herb tea, based on the Ojibwa herbal tradition." At first taste it wasnt all too bad but every other time I felt as though this tasted like a bad beef broth. I had to stop sipping on it and start taking it like a shot. Next, Pro•Essence® Vegetarian Capsules are taken with a warm glass of water (after the tea) in the morning and before bed. "Pro•Essence® acts as a diuretic for the entire urinary system in both women and men." This is supposed to give your kidneys a deep cleanse. These tasted fine since you swallow them and I didn't seem to have a terrible tasting burp after like you do after taking some vitamins. 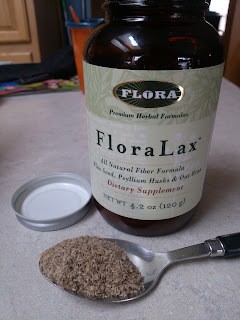 Lastly, the FloraLax™ powder is mixed 1 TBS with juice or water 3 times a day before breakfast, lunch, and dinner. "FloraLax™ provides the fiber to help absorb intestinal toxins and help maintain good blood cholesterol levels." This is supposed to be a complete cleanse for the colon. I would mix this with orange juice which actually just made it taste like extra pulpy OJ. I think if mixed with something else you might get a chunky taste. FYI, drink this right away. Do NOT leave sitting for too long or you will end up with an oatmeal/gel beverage! Believe me I did it! I have to say again this wasn't like most cleanses where you are stuck in the bathroom for hours and days. I actually enjoyed taking this (with the exception of the tea). I definitely noticed a difference in my skin with a reduction in blemishes, less oil, and no dryness. I did not notice a difference in my energy or sleep levels as it mentions you will. I did notice I felt less bloated and as if I lost a little water weight. Most importantly, I noticed a major reduction in appetite! I felt full most of the day and was completely content with snacking and small meals. Recommendation: I definitely recommend trying this! Most cleanses cost around the same if not much more so this is even a great price. I see myself buying more of the Flora products in the future! Giveaway: Flora Health is going to give THREE of A Lucky Ladybug's lucky readers a 7-Day Purification kit of their own! 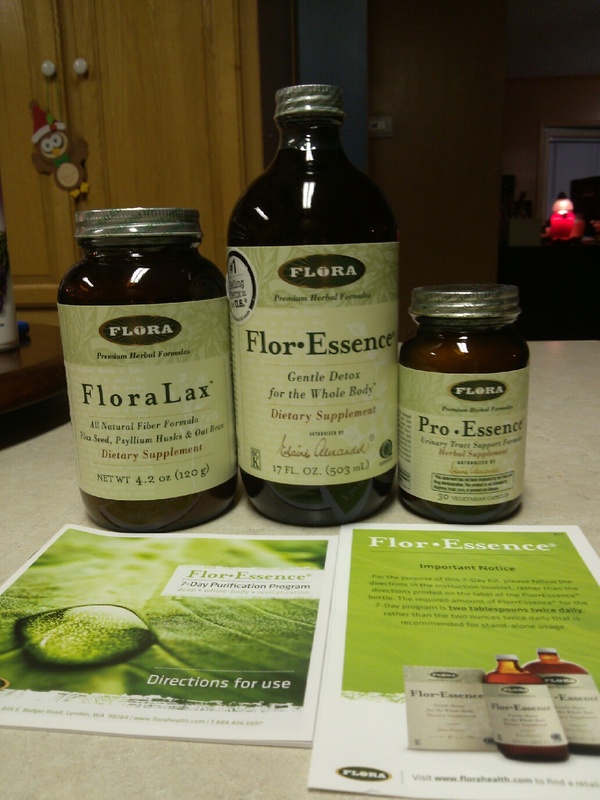 I have done other cleanses before but I hadn't heard of flora health until now. They also have a Hoodia Slimming Tea that sounds pretty good. I love hot beverages! I'd like to try their White Willow Bark Extract! I would like to try the Sleep well tea. I would like to try the Elderberry concentrate. Their products look very good, I would love to try them, especially the B complex. Sleep well tea would be amazing for my crazy overnight schedule. I'd like to try the Sleep well tea. The Flor•Essence® 7-Day Purification Program.. could always use an extra weightloss boost. id like to try the red beet crystals! I would like to try the Super Antioxidant with Pomegrante! Thanks for the giveaway. 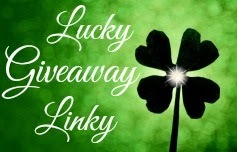 My fav thing about your blog is the giveaways! Your blog is honestly my favorite !!! Keep up the great work! I'm always looking for good moisture cream. Yerba Maté Tea. 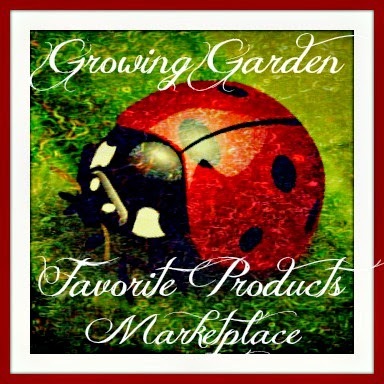 i know these products are great. 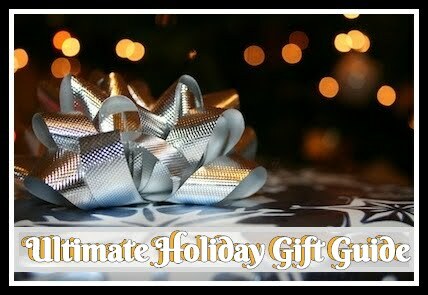 I would love to try their Udo's Choice Green Blend & Wholesome Fast Food. Thanks! I would love to see more posts like this; reviews of all-natural health-related products. I would like to try the white willow.